Long dark green leaves, paler inner leaves and hearts used in salads, delightful mildly acid flavour, plants to 45cm, roots dried and roasted as coffee substitute. 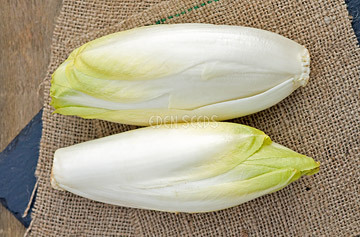 Also called Belgium endive. Known since mid 1800's. 55-150 days.